You know you need to up your online marketing game in the new year. One of the best ways to do that is to take your copy to the next level. However, copywriting is not something that just comes naturally to everyone. In fact, it can be difficult to write effective online marketing copy, whether you’re doing it on a landing page for your course, or whether you’re creating a Facebook ad. One of the best things you can do for effective online marketing copy is to be yourself. Come from an authentic place. Your voice and tone should be personal and real. Think about writing your ad copy from your customer’s point of view — and make it your own. Chances are, you started your business because you wanted to solve a problem. There’s also a good chance you once had the same problem. Write in the first person to make that connection and feel more like a “real” person to your audience. What problem will your product, course, or service solve? How can someone improve their life with your help? Define the problem and then show how you will solve it. When you take this approach, you can be immediately useful. You need to understand your audience, and what they need, before you can do this, though. Take the time to think about what challenges your audience faces, and then address how you can help them overcome those challenges. 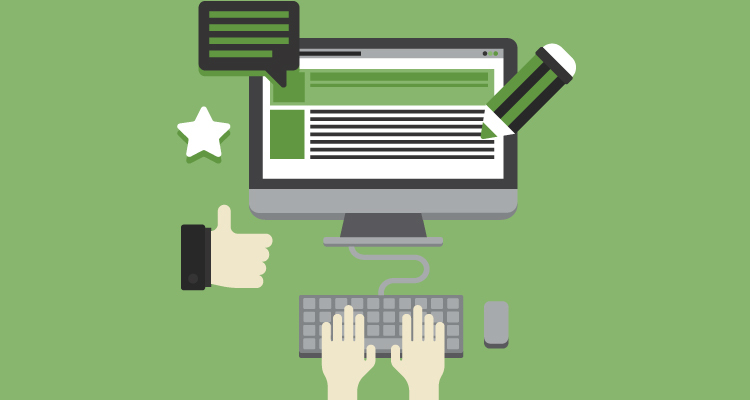 One trick to writing effective online marketing copy is to ask questions. Of course, you also need to be prepared to answer those questions. Put the most important question at the top of your copy, or even make it the title of your ad. The idea is to grab attention with a question your prospective customer likely has. Answer that question (hopefully solving a problem along the way), and you are more likely to make a sale. Most Americans are not reading at an advanced level. You need to keep things basic. You want to stick with a sixth- or seventh-grade reading level when you create copy. Don’t try to stuff your ad with impressive words. Instead, keep it brief and to the point. Use words that are simple but powerful. If you are unsure of how your copy reads, consider using a tool like Hemingway App to analyze your copy and ensure that it’s simple. Effective online marketing copy emphasizes words and phrases that you want to stand out. While you don’t want to make the copy distracting, a well-placed bold sentence or a word in all caps can help you emphasize your point and draw attention where you want it. If you have testimonials, include those in your ad copy. This kind of social proof can go a long way toward convincing potential customers that you are credible. Media mentions and hard proof (like numbers if you have them) can also help. When you are seen as trustworthy, you are more likely to convert sales. There is no one true formula for effective online marketing copy. Sometimes you just have to try different things to see what resonates with your audience. Use different headlines, and experiment with different copy lengths, and different phrases. As you split test and run other analyses, you will get better at targeting your copy in a way that is more effective.